(Reuters) - The United Nations on Monday named experts to an international commission of inquiry into possible human rights violations and war crimes committed by both sides during Israel's military offensive in the Gaza Strip. Israel, however, dismissed the inquiry as a U.N. Human Rights Council "kangaroo court".William Schabas, a Canadian professor of international law, will head the panel whose other members are Doudou Diene, a Senegalese veteran U.N. human rights expert. A U.N. statement said Amal Alamuddin, a British-Lebanese lawyer engaged to be married to Hollywood actor George Clooney would take part though Alamuddin later denied she would participate in the inquiry. It was not clear who would replace Alamuddin on the panel. The U.N. statement said the independent team will investigate "all violations of international humanitarian law and international human rights law ... in the context of the military operations conducted since 13 June 2014." A month of war, marked by Israeli air strikes on Gaza and rockets fired by Hamas militants into Israel, has killed 1,938 Palestinians and 67 Israelis while devastating wide tracts of densely populated Gaza. 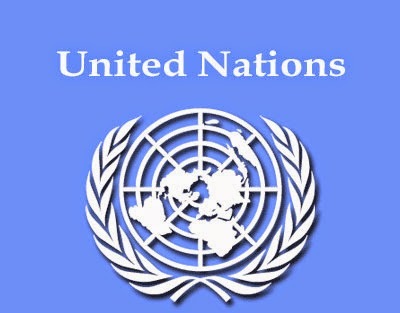 The panel is to report by March 2015 to the U.N. Human Rights Council. Israel has long accused the 47-member state forum of bias against it. Navi Pillay, the top U.N. human rights official, said on July 31 she believed Israel was deliberately defying international law in its military offensive in Gaza and that world powers should hold it accountable for possible war crimes. Israel has attacked homes, schools, hospitals, Gaza's only power plant and U.N. premises in apparent violation of the Geneva Conventions, said Pillay, a former U.N. war crimes judge. Hamas militants in Gaza have violated international humanitarian law by firing rockets indiscriminately into Israel, Pillay said. In a statement, Israeli Foreign Ministry spokesman Yigal Palmor issued a statement dismissing the inquiry. He cited Israel's view that "the Human Rights Council had long ago turned into the 'terrorist rights council' and a kangaroo court, whose 'investigations' are pre-determined." Hamas Spokesman Sami Abu Zuhri in Gaza said "Hamas welcomes the decision to form an investigation committee into the war crimes committed by the occupation (Israel) against Gaza and it urges that it begin work as soon as possible."